Dennis was born on March 1, 1931 in Jasper, Indiana to Frank and Mary (Beckman) Schroering. He married Joan Sander on August 24, 1957 at St. Raphael Catholic Church in Dubois, IN. He was a U.S. Air Force Veteran who served in the Korean War, and a life member of the VFW Post #673 in Jasper. Dennis was a member of Holy Family Catholic Church in Jasper, a member of the Holy Family CRHP group, a recipient of the Brute Award, and a member of the Jasper Knights of Columbus, and St. Vincent De Paul. He also served as the Treasurer of the Celestine Fire Department, was an officer of the Celestine Community Club and a member of the Indiana Farm Bureau. 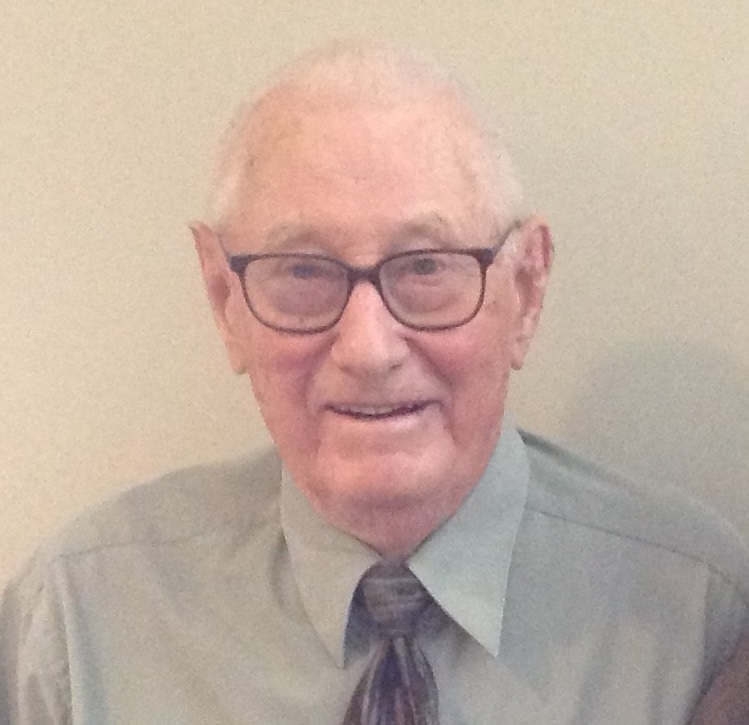 He enjoyed playing cards, driving his 4-wheeler, gardening, farming, and spending time with friends and family, especially his grandchildren and great grandchildren. Surviving are his wife, Joan Schroering of Jasper, four daughters, Marcia Katterhenry (Bruce), Huntingburg, Diane Verkamp (Stan), Jasper, Brenda Barnett (Kevin), Mooresville, IN, and Connie Dilger, Oxnard, CA, two sons, Paul Schroering (Lisa), Jasper, and Leon Schroering (Cathy), Jasper, twelve grandchildren, Eric Katterhenry, Myra Katterhenry, Cassie Beyke, Brandon Verkamp, Amanda Blanchard, Ryan Barnett, Angela Barnett, Lori Dilger, Holly Dilger, Katie Reuber, Courtney Hopf, and Olivia Schroering, and eight great-grandchildren. Preceding him in death were his parents and his stepmother, Alice (Blumle) Schroering, two sons, David Schroering, and Vernon Schroering who died in infancy, one grandchild, Benton Kluesner, one sister, Mary Alice Schroering, and seven brothers, Linus Schroering, Cyril Schroering, Fr. Cletus Schroering, Fr. Raymond Schroering, Fr. Francis Schroering, and Arthur and Jerome Schroering who both died in infancy. A Mass of Christian Burial for Dennis E. Schroering will be held at 11:00 a.m. on Friday, December 7, 2018 at Holy Family Catholic Church in Jasper with entombment to follow at Fairview Cemetery Mausoleum in Jasper. The VFW Post #673 will conduct military gravesite rites. A visitation will be held from 2:00 p.m. until 8:00 p.m. on Thursday, December 6, 2018 at the Becher-Kluesner Downtown Chapel in Jasper, and from 9:30 a.m. until the 11:00 a.m. Mass time on Friday at church. The Holy Family CRHP group will lead the rosary at 1:45 p.m. on Thursday at the funeral home. Memorial contributions may be made to Holy Family Catholic Church or to a favorite charity.